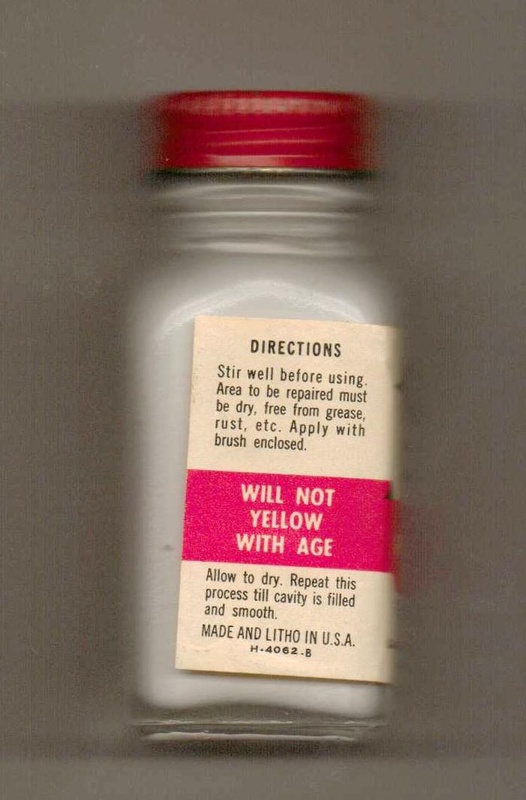 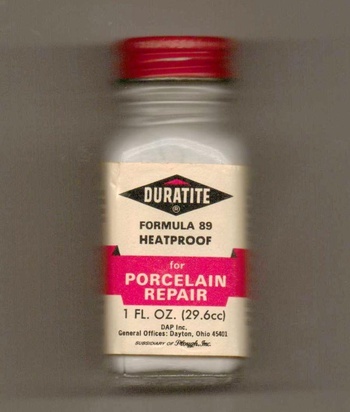 This is a circa mid-1960's bottle of Duratite Formula 89 Heatproof Porcelain Repair Paint made by DAP, Inc., Dayton, Ohio, a subsidiary of Plough, Inc. - It is a 1 fl. oz. (29.6cc) un-opened full bottle and was used for the repair of white porcelain paint chips or cracks on fixtures & appliances. 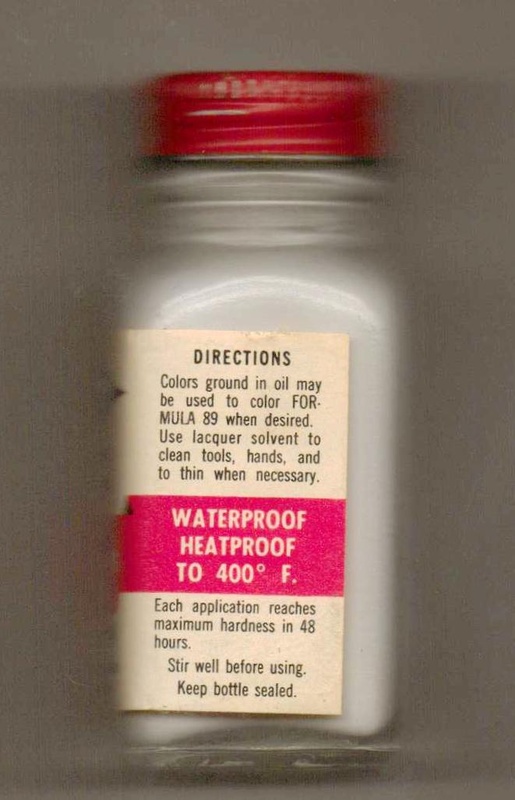 - Bottle embossed on bottom with the Owens-Illinois Glass mark.